As a horror fanatic, I’m definitely part of the core audience that producer James Blum and director James Wan want for the upcoming horror thriller Insidious: Chapter 2. But I can’t help but wonder if it will suffer from the John McClane syndrome of putting a main character through a situation similar to the first film – in this case eerily similar, as it were. The first poster, seen above, dropped via Yahoo! Movies, along with an interview with Blum. And look at who is sitting all by himself in his walker in the middle of a dark nothing. Once one of your kids goes all possessed, you tend to pay more attention to the other ones. Tether that child to your arm! And the tagline “It Will Take What You Love Most” doesn’t exactly incite the most comforting images within the imagination. Side note: The interview ended with him describing the upcoming Paranormal Activity 5 with, “It’s very scary.” Hot damn! 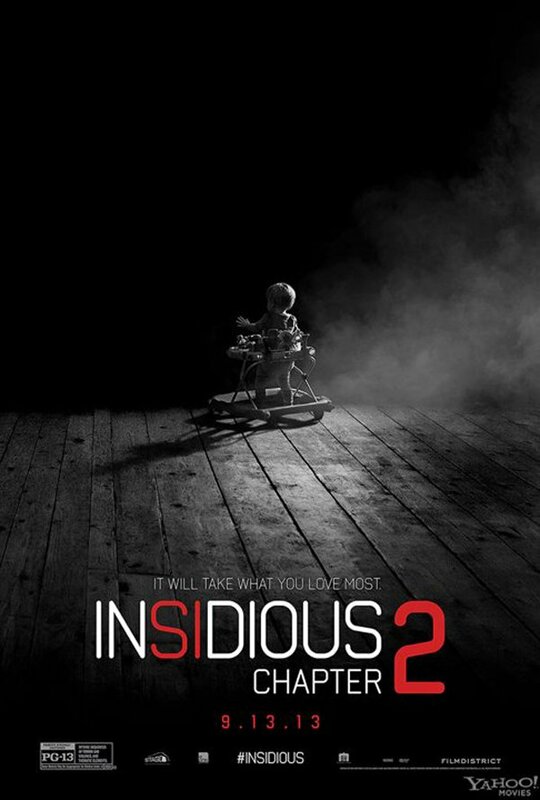 That film opens in October, a month after Insidious: Chapter 2’s September 13 release date. Check out the full trailer below, and try to keep “He’s got your baby,” from invading your mindspace for the rest of the day.